Unwanted or unsuitable products may be returned to hpshop.ie within 14 working days of receipt of goods. This is in line with the "Distance Selling Directive" as long as the goods are not opened, the packaging remains in an ‘as new’ state and the goods are in a resalebale condition. In such cases standard RMA procedures still apply. Goods must be returned at customers own expense. Please note that this directive is only available for home/private users only NOT business users. 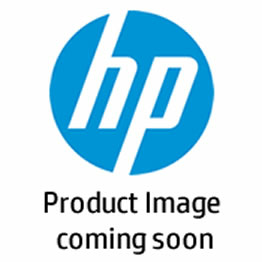 hpshop.ie allows customer returns based on the policies of the original product manufacturer and that of our suppliers. Software is not returnable if the packaging has been opened. If software was distributed electronically, it is not returnable if the licenses were downloaded. Where a product is returned mistakenly as faulty a charge of €40 or 15% of item/order to be cancelled or returned whichever is higher, this only applies to business customers and is at our discrection excluding all other delivery charges. Manufacturer restrictions apply to certain products, as detailed below and as updated on occasions. Return Restrictions. Defective Product Returns. Customer may return most defective products directly to hpshop.ie within fifteen (15) days of invoice date and receive and at hpshop.ie’s discretion receive a replacement, exchange, or repair. After fifteen (15) days, only the manufacturer warranty applies. Customers may return most non-defective Products directly to hpshop.ie within 14 working days of delivery date and receive, at Customer’s option a refund, credit or exchange. The transport costs of such a return is the responsibility of the customer. This 'cooling off period' is not applicable to business customers. Certain Products cannot be returned to hpshop.ie for any reason—without exception—and Customer must contact the manufacturer directly for any needed assistance. More information may be provided through the links provided on the Support section of the site. Products that are specially ordered may be non-returnable or may have unique return restrictions on returns provided at the time of sale. Return of Software or DVDs. hpshop.ie at its descretion can offer refunds only for unopened, undamaged software and DVD movies that are returned within 14 days of receiving goods (Not applicable to Business Customers). No returns of any type will be accepted by hpshop.ie unless accompanied by a unique RMA number, which a Customer may obtain by providing the following information in the online returns form. This form will be examined by hpshop.ie for processing. You will be advised as to whether your return has been authorised or denied, and given further instructions on returning the product Customer has five (5) days to return a Product after the applicable RMA is issued. hpshop.ie reserves the right to refuse any UNAUTHORISED returns: those that occur after the five (5) day period or those involving Products that are unaccompanied by valid RMA’s. Please note: RMA processing can take between 1-4 business days. RMA numbers should be clearly displayed on the outside of the shipping packaging in the event of return. The manufacture boxing must not be defaced with RMA numbers or the return request may be declined. Returned Products Must Be Complete. All Products MUST BE returned one hundred percent (100%) complete, including all original boxes, packing materials, manuals, blank warranty cards, and other accessories provided by the manufacturer. hpshop.ie reserves the right to refuse the return of incomplete Products or where a product is returned mistakenly as faulty a charge of €40 or 15% of item/order to be cancelled or returned whichever is higher, this only applies to business customers and is at our discrection excluding all other delivery charges. The Customer is responsible for the cost of shipping returned items; hpshop.ie is responsible for the cost of shipping replacements or exchanges of returned items and will match Customer’s shipping method where possible. The Customer is strongly advised to purchase full insurance to cover loss and damage in transit for shipments of returned items and to use a carrier and shipping method that provide proof of delivery. hpshop.ie is not responsible for loss during such shipment. There is absolutely no communication by phone regarding returns issues. All returns requests should be submitted using our online returns tool. All queries regarding returns must be submitted through email.